Foundation for Portland Public Schools - an independent non-profit 501(c)(3) organization. More than ever we are called upon to support our public school, and to try to find ways to diversify revenues in support of public education.Now more than ever, philanthropy is a critical piece of the funding puzzle for Portland Public Schools.Will you join us today by making a gift to our 2018 Annual Appeal? 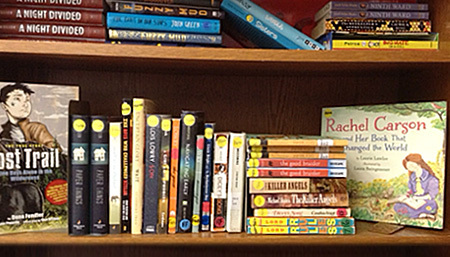 The Portland Education Foundation has been awarded $50,000 Grant from The Stephen and Tabitha King Foundation for PreK-Grade 5 Literacy Resources! This program addresses a general lack of funding for books and literacy resources, helps to build collections that honor and celebrate culture and language differences, thereby helping to meet students where they are and bridge gaps between students from different backgrounds. The PEF Teacher Grants Program supports a wide range of innovative school and classroom-based efforts to enhance learning experiences, and to recognize and reward the hard work of Portland’s talented and dedicated teachers, who work tirelessly to engage and inspire students. 2016 marks eight years of PEF investing directly at the point of teaching and learning. Funds disbursed in 2015 represent a 29% increase over the previous year. Grant applications were received from teachers in every school, representing all grade levels, K-12. 47 grant proposals were awarded totaling $33,000. Thank you to our many generous donors who make this program possible! PEF’s vision is to strengthen schools through community investment. PEF’s Goals are Educational Enrichment, Classroom Innovation & Community Engagement. 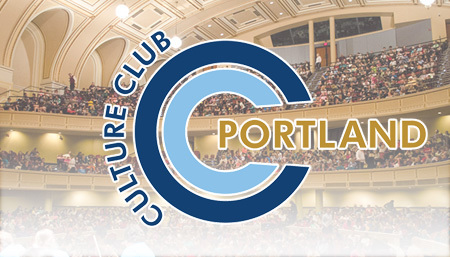 The Culture Club-Portland Ad Hoc Committee signals the District’s recognition of, commitment to, and belief in the importance of retaining and expanding the Culture Club-Portland – Public Schools collaborative and the continued and enhanced educational opportunities provided therein. The Ad Hoc Committee will be asked to read and review three annual external program evaluations conducted by USM staff, study factors and conditions presented, and make specific recommendations that seek to a) strengthen coordination between PPS and the Culture Club-Portland consortium, b) maximize participation at all grade levels, and c) help secure the longstanding sustainability of the Culture Club-Portland – Public Schools collaborative. Strengthening schools through community support.